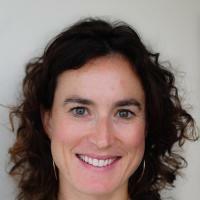 Nell Hurley is the head of marketing and communications at EducationSuperHighway, a national nonprofit committed to closing the connectivity gap in America’s K-12 schools by 2020. Hurley joined EducationSuperHighway in 2013 and led the organization’s efforts to modernize the $3.4 billion federal E-rate program, which provides funding for school connectivity. Since then, she has engaged thousands of school districts in upgrading to high-speed broadband to provide all students with equal access to educational opportunities through digital learning. Hurley has more than 12 years of marketing experience in the education space. Previously, she held roles at Adobe and Teach For America. Hurley is a graduate of the Kellogg School of Management and the University of Michigan.